I’ve got to say, the Paleo community is very friendly, inviting and collaborative. When I reached out to Juli from PaleOMG, she responded right away and was enthusiastic about me contributing a recipe for her blog, featuring my sweet potato noodle bun. She even introduced me to one of her other Paleo-bloggin’ friends… very cool. Now, viewer discretion is advised, because this sandwich is MASSIVE. I purposefully made it larger-than-life for dramatics, but if you were making it yourself, it would of course be normally proportioned. The salmon, bacon, avocado and sweetness of the bun make for a melting pot of flavor and a home-run in the Paleo sandwich department, I think. If you don’t know what Paleo is or you are Paleo and haven’t heard of PaleOMG, you’re missing out – check out Juli’s site, it’s a great resource for those eating Paleo or interested in converting: PaleOMG.com. If you want to skip straight to the recipe for this Salmon BLT, click here. I am so excited that I recently found your blog- what inspiration! Nikki - thank you so much, looking forward to having you as a follower! I'm trying desperately to enter your giveaway contest but the section will not load...help! I have become exceedingly fond of the spiralizer. This Winter will not be complete without Chicken Zoodle Soup, which was such an inspiration (!) after thinking my days with comforting chicken noodle soups were over. Thank you! This recipe looks so tasty! Also excited to try your caprese zucchini noodle salad, yum! 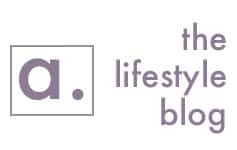 I love your blog....signed up as a follower (avid one! 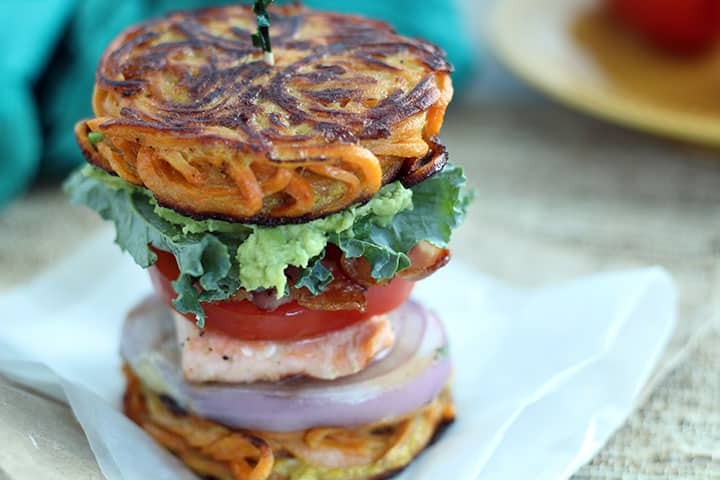 )...and am ALL OVER your recipe for the Sriracha Tuna Steak BLT on the spiralized noodle bun!! !....Did I forget to mention the spiralized "noodle" crust Margarita pizza? !...The paleo motherlode?...People...you have FOUND IT!! Currently using, alas, a mandoline for noodle creations...but MUCH prefer the "curl" element only the spiralizer seems to achieve...The Paderno model has been HIGHLY recommended on Amazon and by Leanne at Healthy Pursuits ...and it would be fantabulous to actually win one...Fingers and toes (occasionally...eyes..) crossed! Donna, thank you for the sweet note - I hope you enjoy all of the recipes and keep following! Goodluck in the contest! Your very welcome....and I LOVE your hat...I have one that is very similar a Panama of straw with black grosgrain ribbon...Wow...I not only seem to love all of your cuisine tastes...but your chapeau choices as well! Hi Ali! I discovered your blog through PaleOMG, and I'm excited to try out some of your recipes. I'll be making your sweet potato buns for the second time today. I have a question. A lot of liquid came out of the pressed sweet potato, and even once I drained it my buns were soggy. Any advice on how to make sure the buns come out firm and not too wet? Daniel - thanks for following! Yes, you must be using too much egg - cut the amount of egg down by 25% and see what happens. Sometimes it takes a little fussing! Thanks for following and I'm so glad you like the buns! Goodluck! Thanks for participating, Stephanie! I'm so happy to have found your blog. I'm jumping into my second attempt at going paleo and really need some help with more variety. Thanks for your awesome contributions! I'm glad you find the recipes helpful - it's definitely a good way to spice up your eating! 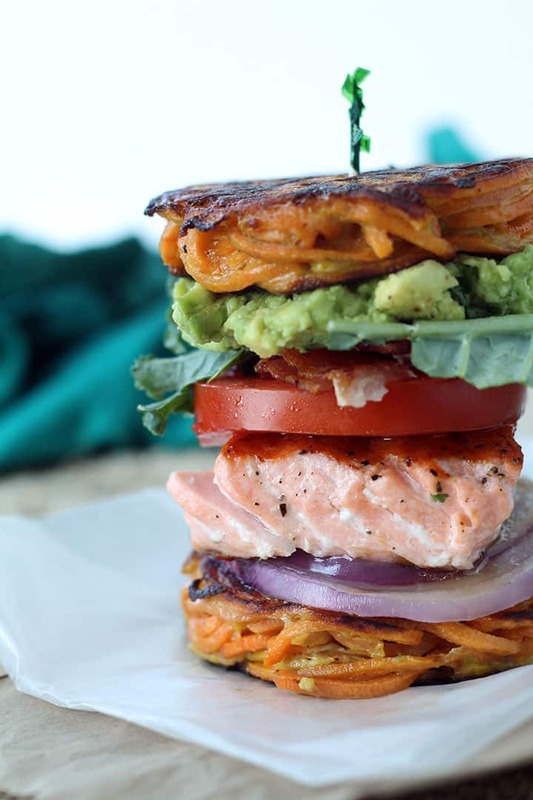 I want to try many of the recipes but the recipe listed on this page ( Paleo Sweet Potato Noodle Bun) looks epic. I neeeeeeeed this to make some veggie lo mein! Ali - your food looks amazing... nutritious and delicious! 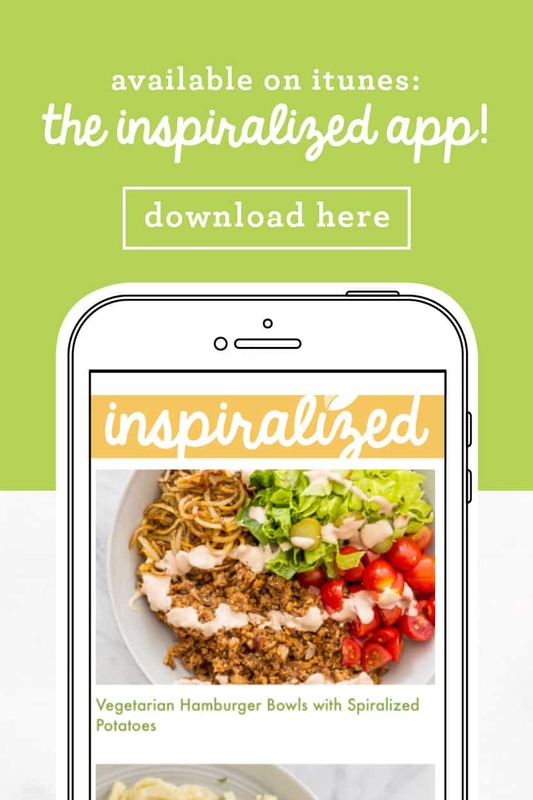 I am so glad I found this site, I have recently discovered some food allergy issues that I never knew I had that has completely transformed the way I eat. I love new recipes that mix up my staples but still taste (and look) great! So glad to hear that you find these recipes helpful for your allergies. Good luck! It's totally an easy way to cook: goodluck! So excited to find this blog! I just started spiraling my veggies, but using a hand held version. Love eating curly vegetables, but the spiralizer looks faster and easier. Can't wait to try a bunch of your recipes! Thank you - I hope you win! Oh how exciting! 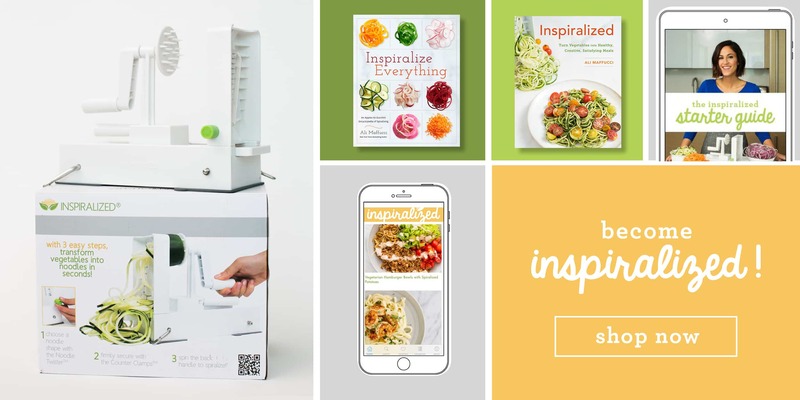 I would love a spiralizer. And the first recipe I'd make would be the sweet potato buns! I found this site from over PALEOMG! Woops! Also want to try to make any sort of pasta dish.... I've been using a julienne peeler and think it'd be awesome to try out a spiralizer! Your blog is an excellent resource for us paleo-eaters out there - so many veggie packed recipes, and anything can be modified to fit within paleo or primal restrictions! I can't wait to test our your beet noodles - I have newly discovered my love for them, and your dish looks like such a tasty combination! Rachel, thank you so much! I'm glad you see it as a good resource - it's definitely paleo friendly! Love your blog!! 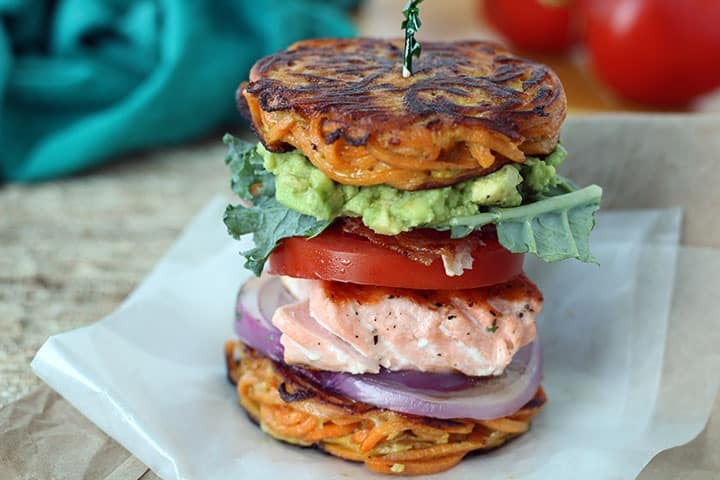 Paleo is such a fantastic way to live and I love the look of that salmon burger--I would have to do it with beef for hubby--but wow! Thank you :) Glad you like the recipe! Those buns look so good! I can't wait to try that recipe. .. and all of the ones you posted! This is a must in a paleo kitchen and I don't have one yet! 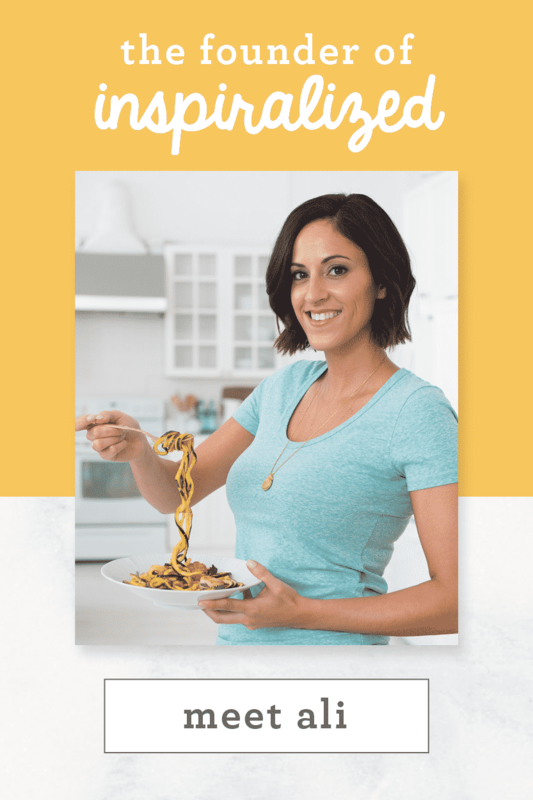 I've been reading about the spiralizer for a long time.... I'm dying to get one. Thanks so much. This looks amazing! I wonder how pumpkin would hold up, spiralized? I haven't tried it yet, because pumpkins were out of season. Unfortunately, veggies that are hollow inside are tough to spiralize. Once I try it, I'll definitely be posting it on the blog! Can't wait to make these buns! do they freeze well? & also, instead of ramekins, do you think non-stick egg circles would work? Yes, they do freeze well. And yes, non-stick egg circles would work but you need to place it on a plate and make sure that you have something to place on top of the noodles to compact them into the egg circle. Should work! Totally plan on making these buns! 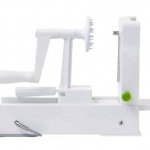 I've been wanting a spiral slicer for a while and watching prices. I have a hard time eating veggies because I a) don't know how to cook them very well and b) grew up in a house where every veggie came out of a can so it had a lovely rubbery consistency and tinny flavor that turned me off until very recently. I am really hoping to find a way to increase the number of veggies in my family's life, and if I can sneak some "noodles" into my kids' meals then that is even better! Really looking forward to the sweet potato noodles, because OMG WOW! Wowza. That sandwich is a seriously awesome mouthful! LOVE those sweet potato "buns". Guess what I'm making for dinner? Sweet potato crust pizza! I made this last night and all I can say is Wow! It tastes so good especially when you get a bite of every thing together. Thank you for such a creative recipe! Also wanted to mention how great your tutorial is for the spiral slicer. I had such an easy time with mine once I read the instructions! Can't wait to make more creative dishes. Thanks so much! Connie - thanks for the sweet comment! I'm so glad you liked the sweet potato noodle bun. It can be tough to bite into, but worth the struggle! 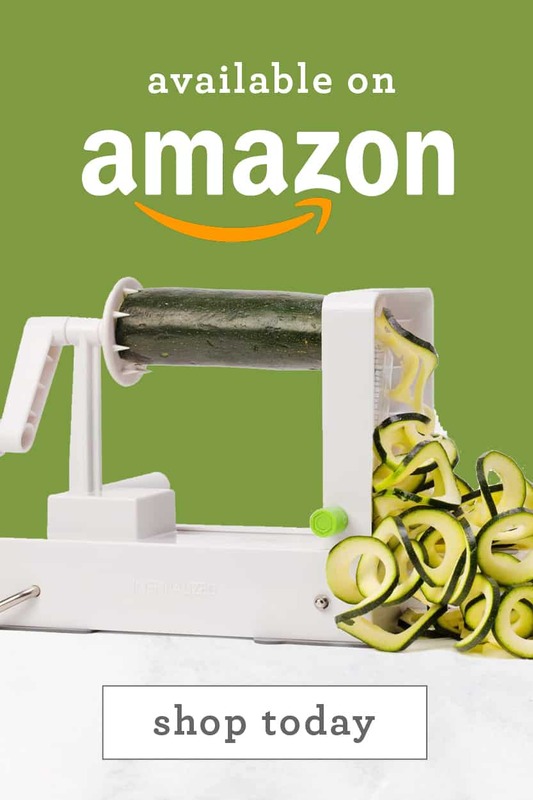 I have been eying the spiralizer for months. My family is Paleo, as we all (kids primarily) have health issues that Paleo has helped. Would so love to win this to simplify my meal prep, as I use a hand julienne peeler that takes forever! Please give it to this girl so she can stop using her julienne peeler! Let's just say its a good thing her husband runs an ER! I've definitely cut my fingers with a julienne peeler before! I feel your pain. Good luck! Good luck, Shannon! I'm happy that you'd like to introduce another healthy option into your family's diet! I'd make this and more with this sweet spiralizer! Everything you make sounds so delicious-it makes my mouth water just reading about your dishes! Thanks so much, I appreciate it! Good luck! 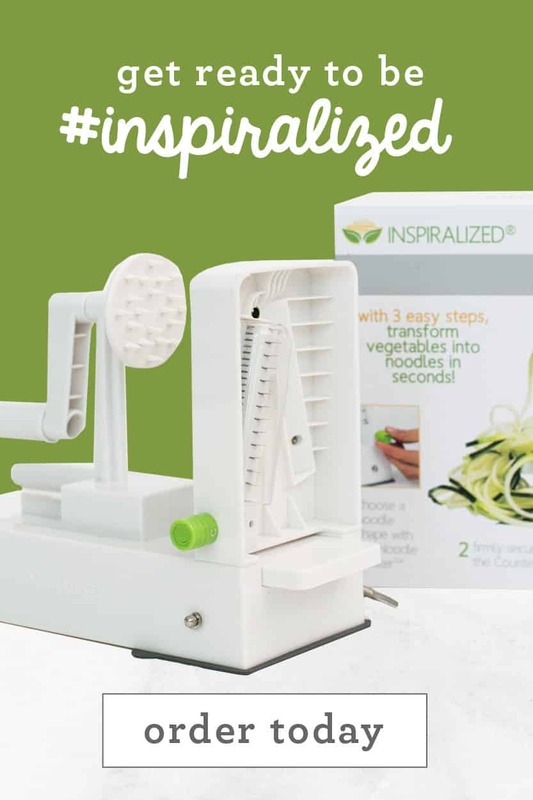 I forgot to say what I would use the spiralizer to make! I would first try making spaghetti using zucchini! Just found your site through PALEomg, and I'm in love! Recently had to give up grains, and this spiralizing is really something to help me get through the transition, and bring in some new variety! Thanks for all the deliciousness! Love this blog! 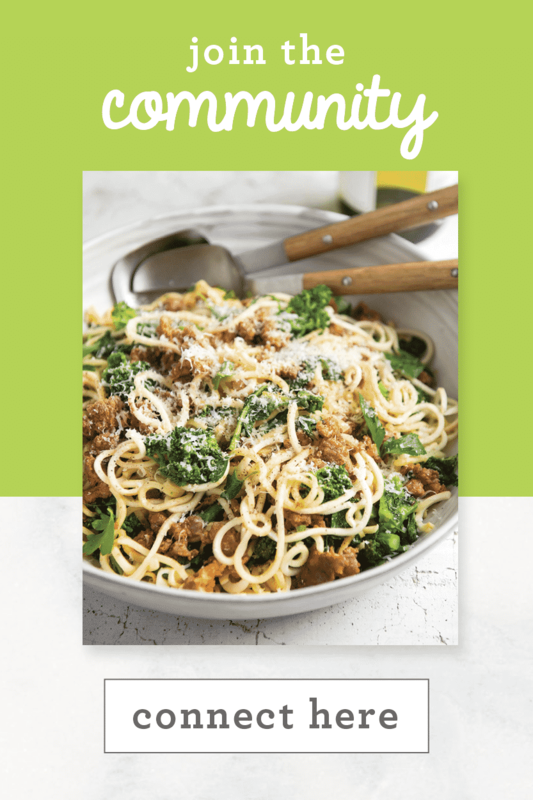 Found it off of PaleOMG and can't wait to try many of the recipes! Betsy, congrats on your pregnancy and I'm happy you like the recipes! Oh my, I want that sandwich! OMG I need this in my life! These sweet potato noodle buns. They look amazing, delicious....couldn't be better. And I could east sweet potatoes in any form. LOVE them! Amy, I know! Sweet potatoes are the most versatile veggies! Thanks for following. 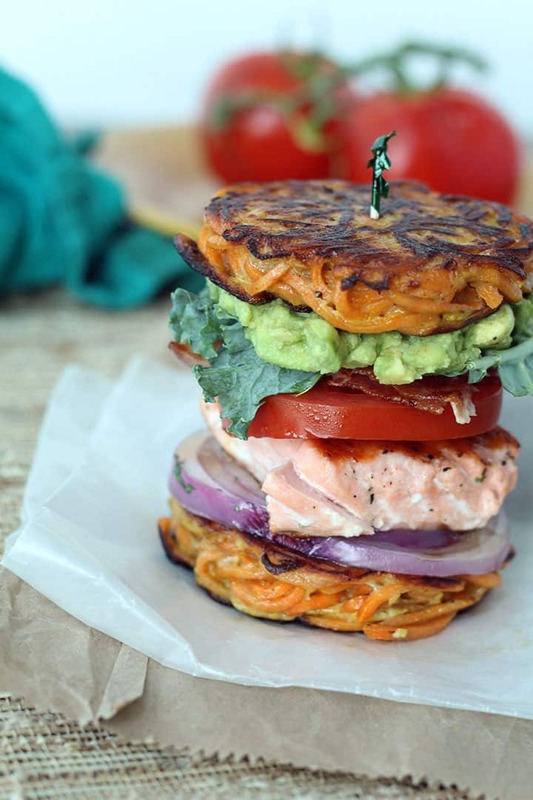 Wow, this looks amazing and I would love to try the sweet potatoes buns out for sure. When I do make it, I am definitely using your recipe entirely with the Salmon BLT! My daughter and I have a blog, K and K Test Kitchen so you will get more exposure than I make this recipe. Keep on blogging! I just found your site courtesy of paleOMG and having food allergies have had to cut out many foods. I would LOVE to give this a whirl! Thank you! Belle, I'm so glad you see my site as a great resource for you - enjoy! Let me know if there are any recipes you'd like to see! Sooo very excited to find your blog!! PaleOMG had your sweet potato noodle buns featured. I can't wait to dig into your recipes. Thanks! Nancy, thanks so much - glad to have you as a reader! Wow! I found you through paleOMG and I can tell I'm already hooked! Can't wait to make the Pepperoni Pizza zucchini pasta recipe. Thanks! It's one of my favorites! It tastes just like pizza! I found you from a comment on Gina's Skinnytaste blog. 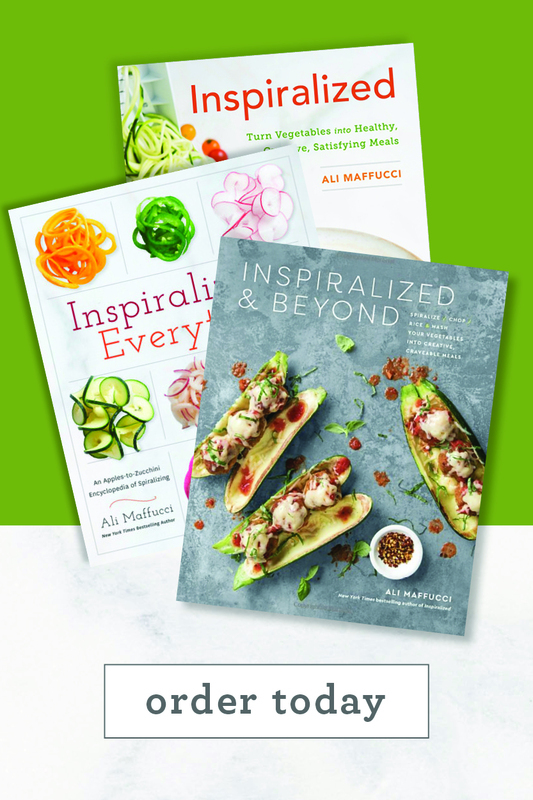 I was going to get a mandolin but love the idea of spiralizing! I'm wondering how heavy duty it is though. Sweet potatoes/yams can be pretty tough to cut! I've had the same one for 7 months and I've spiralized countless sweet potatoes! It's definitely durable! I found you through paleOMG a couple weeks ago and absolutely love your site! The first dish I made and my absolute favorite was the shrimp, chorizo and corn saffron zucchini pasta. Since I don't have a spiralizer, I had to cut the zucchini up by hand into noodles! I'm having the dish again as my birthday dinner on Friday! Meghan - wow, that's dedication! I am so glad you love the recipe - it's definitely one of my favorites. Happy early birthday! I found you through PaleOMG and I love your recipes! I can't wait to try them out. Amy - thanks for stopping by, I glad you like the recipes! 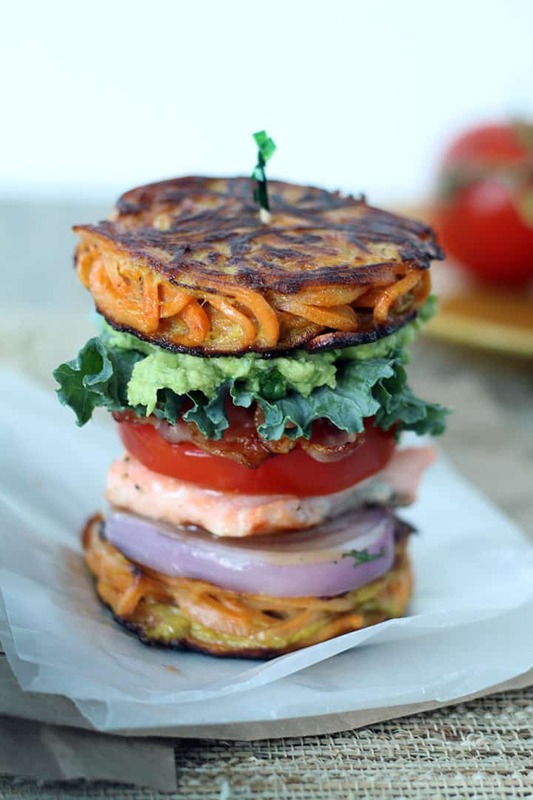 Really excited to make the paleo sweet potato noodle bun! It looks delicious! Oh wow! I'd love to try this recipe and your shrimp bacon and okra creole cajun zucchini pasta.